The results are in with 18 votes between our main site and Instagram & Twitter. We’ll like to thank everyone who participated in the poll and we hope everyone will participate in the next one on March 9, 2018 aka Miku Day. 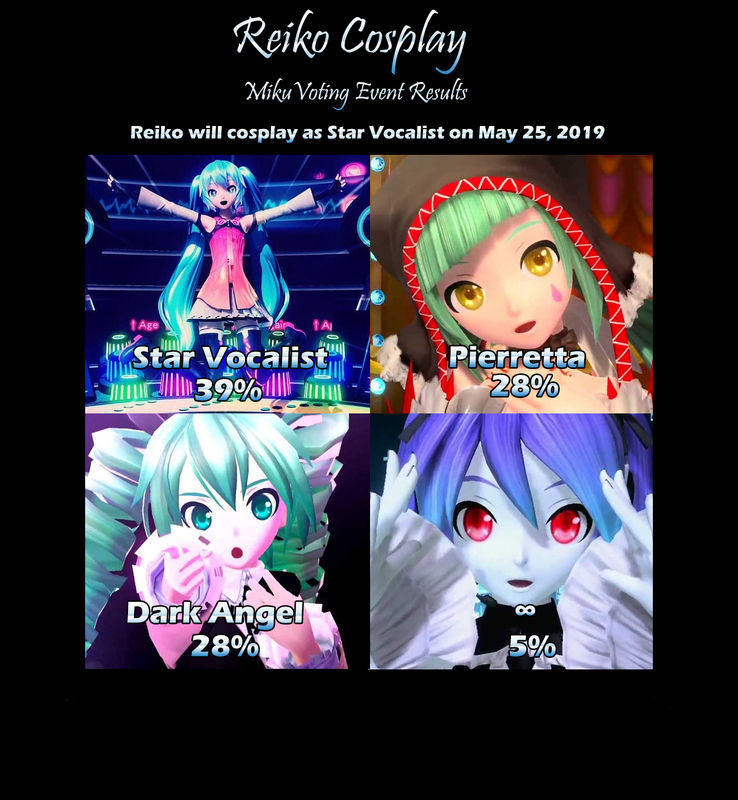 Our next Reiko Cosplay voting event will be a Miku 12th anniversary voting event.